Popular science recently put all of their published magazines on the Internet. As soon as I heard, I couldn’t wait to search for any “kart” related articles. I remember seeing old magazines amongst my fathers collection and was amazed at the details and information which was available for making all sorts of projects going back even to the start of the 19th century. A quick search here led me to some of the articles shown in the image below. I came across lots of advertisements and classifieds for go-kart kits but a lot of these were pretty old. Other search keywords which returned lots of results were “buggy” and “engine” and “motorcycle”. Have fun searching through. If anyone comes across any more good articles, feel free to email them on or add a comment. 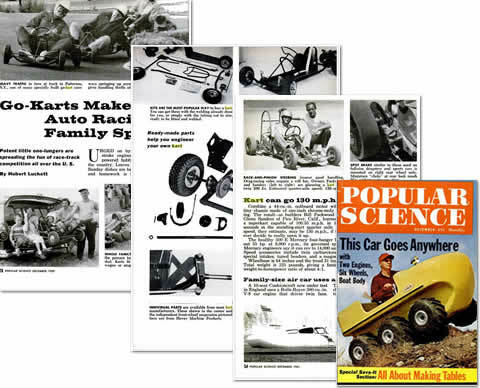 In case anyone was wondering it is an old “Modern Mechanix” magazine article showing kart plans from 1962 on the main kartbuilding.net website. I’ve always liked Popular Mechanics, from reading old copies which my Dad used to get (many years ago), to browsing their website. I’ve even blogged about articles from their website before, however this month’s article is especially cool! Original Image obtained from the Popular Mechanics Website. It seems that you can buy just about anything on eBaythese days. For kartbuilding, this is great news as odd parts and components can easily be sourced, however it can cost quite a bit if you have to pay for shipping. Most of the time, with some patience and looking in skips and yards etc. all the parts can be obtained for virtually nothing. 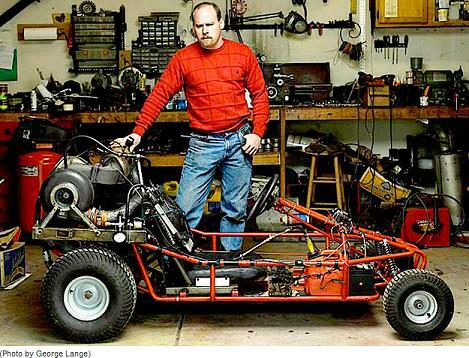 While the articleitself lacks a lot of inside information into the build, it provides great inspiration to many people looking to build karts from old pieces of scrap and second-hand parts. 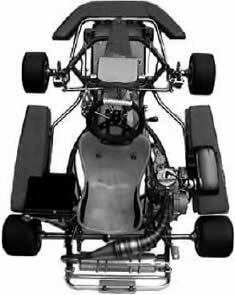 The popular mechanics website also provides great inspiration and a wealth of information on engines, motorbikes, chassis’s, brakes and just about everything that’s involved with kartbuilding. Hopefully the summer and go-kart building is going well for all of you.